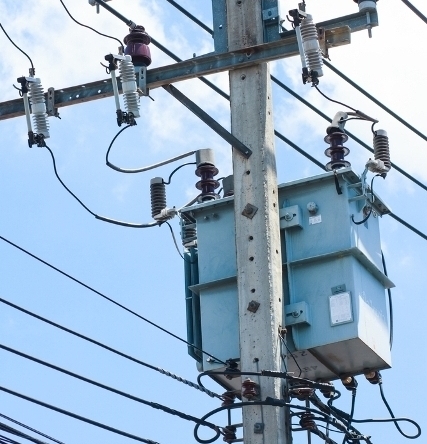 Transformers oil serves various functions such as protecting the solid insulations, providing dielectric strength, facilitating the heat transfer and many others most importantly Transformer oil offers a way to help in determining a problem if exists while looking inside the transformer. Today there are numerous dielectric fields are being used in Transformers in which Mineral oils are one substance which is mostly being used, in which majority portion is of naphthenic base stock. From the research it has been concluded that Naphthenic base stock acquires a lower pour point and has lover viscosity index. For the winters Naphthenic base stock is very much beneficial as it has lower pour points and viscosity especially for the most winter climate territories. As rise in temperature has great effect on the viscosity oil, and with the decrease in viscosity leads to improved transfer rate for transformer oils. For oils which have equal viscosities at 40 degrees C, the transfer rate of heat can be more than 8 to 11 percent than for Naphthenic oil than Paraffinic Oil. The standard life of transformers oil usability can be can be easily attained if it’s kept clean and cool by frequent maintenance. For more prior and receipt the transformer oil should be tested frequently for water contamination with others which using numerous tests such as dielectric breakdown voltage (ASTM D877), acid number (ASTM D664), liquid power factor (ASTM D924-08), oxidation stability (ASTM D2440), gassing tendency (ASTM D2300), gas chromatography (D3612), interfacial tension (ASTM D971), corrosive sulfur (ASTM D1275), Karl Fischer water (ASTM D1533), particle count (ASTM D6786), oxidation inhibitor (ASTM D4768 or D2668), visual examination (ASTM D1524) and many others. These tests will help in determining that whether you are receiving partially cleaned oil or not and will form a baseline of oil properties which should also be frequently tested. Other than that there are numerous other tests which can also be taken place to avoid any circumstances, in which some tests are expensive and needs a diagnostic test before conducting it. Other important tests can also be taken place to measure the inorganic sulfates and chlorides and other specific gravity. Many of these tests can be conducted by supplier or blender. These tests will form a baseline to analysis more details and behavior regarding Transformer oils.